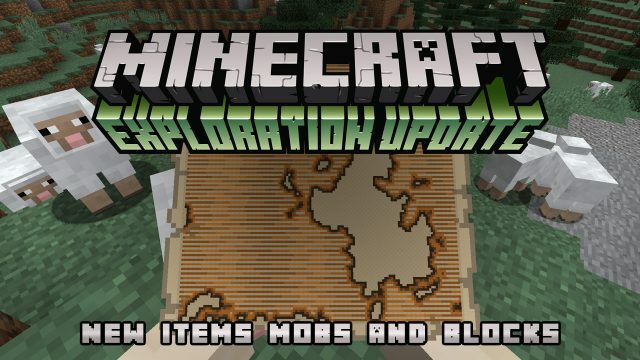 Minecraft 1.11 has been released and it is called the exploration update. The update includes a new villager called the Cartographer. He will exchange emeralds for a exploration map, which will lead you to certain treasure caches. The death message is “<Player> squished too much”. Returns the message “Located [Structure] at [x] [y] [z]”. Has a 50% chance of being dropped by a Shulker upon death (more with enchantment). Can only be obtained from the Cartographer Villagers. Used to locate Ocean Monuments and the Woodland Mansions. Look like End gateways, but teleport you to the main island’s spawn platform. The required pack version number was changed to “3” in pack.mcmeta. Some warnings now appear above the hotbar instead in the chat, like “Press [key] to dismount” had. Some of elder guardians’ and zombie villagers’ subtitles are now distinct from the subtitles for guardians and zombies. Item texture’s “markers” can now be colored by ColorMap tag. Item texture’s color can now be custom colored by <CustomPotionColor> tag. “You may not rest now, the bed is too far away”. Will take 1 damage when hit by a splash water bottle.